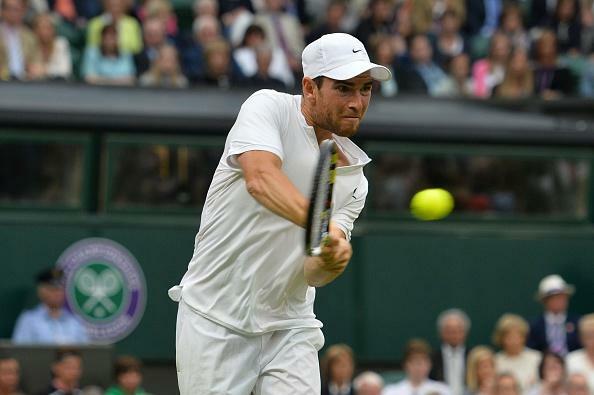 "Mannarino enjoys the grass and his stats this season on the surface of 88.1% service holds and 27% breaks are excellent, making him a top contender here at a decent price." We signed off from Wimbledon 2016 with a win for my outright tournament bet on Andy Murray on Sunday and the ATP World Tour returns in week 28, with three tournaments on clay and grass in Germany, Sweden and the USA. This week's most valuable event is the ATP 500 German Open in Hamburg, which is worth €316,000 to the winner, and is played on what is usually regarded as one of the slower clay tournaments on the calendar. As ever with the red dirt though it's weather dependant and they have a roof on the main stadium court in case of rain, which they'll probably need looking at the weather forecast, and I prefer outright bets in the other two events this week. In Sweden they play at the ATP 250 Skistar Swedish Open in Bastad and this venue is right by the beach, so wind is usually a bit of an issue at this outdoor clay tournament. There's the last week of the grass court season over in Newport, Rhode Island, USA where they contest the Hall of Fame Tennis Championships, an old-fashioned grass event that was won by  chance Rajeev Ram last year. It's arguably the last of the traditional grass court tournaments on the tour, with slick, low-bouncing conditions making for a good balance and both attacking net play and baseline consistency can be rewarded here. They have HawkEye in operation for the first time this year and with the likes of Ivo Karlovic, Gilles Muller, and Sam Groth in the field it may well get a good run out. In-form Stevie Johnson heads the field as number one seed in the top half of the draw, with Muller, Donald Young, Benjamin Becker and Adrian Mannarino the main opposition to the Nottingham champion. In the bottom half Karlovic has Vasek Pospisil, Marcos Baghdatis, Ram and Dudi Sela for company and the number two seed will try for the sixth time to win Newport, having lost in the final for the last two years. Karlovic is around the [5.0] mark and looking at his draw he'll probably go close again, with Pospisil having a dismal season, and it could well be Baghdatis, Ram or maybe Sela who will pose the most threat to the veteran Croat. We've been on Baghdatis a couple of times this grass swing and he's failed to produce the goods, so I'm going to overlook him this week, which will probably mean he'll win it. At around [7.0] the Cypriot looks a tad short compared with Ram, with the latter holding a 16-5 record here, and although we're not going to get the  this year he's still decent at [23.0]. The top half of the draw looks pretty open, with Johnson the form player, but he's yet to show anything at Newport and it may be too slick and low-bouncing for the bulky American at this venue. Muller is yet to win a match in three visits to the Hall of Fame Championships, but most were a few years ago, and he seems to be one of those players perhaps destined never to win a tour level title. And I prefer the [15.0] about Adrian Mannarino in that section, with the Frenchman a handy performer on grass and he should have beaten Ram here last year, but ended up losing a tight one. Mannarino enjoys the grass and his stats this season on the surface of 88.1% service holds and 27% breaks are excellent, making him a top contender here at a decent price. Over in Bastad I have to take on fading Spanish veteran David Ferrer, who looks about done, and I like the [10.0] on Albert Ramos, who has played some great tennis lately and even produced the goods at Wimbledon. The Spanish lefty beat Pospisil and Viktor Troicki and took Richard Gasquet to four sets, which is a massive improvement on his previous grass form and of course he was a quarter finalist on the clay at the French Open, so he looks the one to oppose Ferrer with. The field in Bastad looks really weak and Ramos' confidence should be at its peak right now after that French Open run and Wimbledon success and he's taken Ferrer to a decider in three of their last four meetings. Ferrer has shown very little this season and a heavy defeat in straight sets to Nicolas Mahut at Wimbledon was another indicator of how his level has tailed off dramatically. In a field this weak you'd expect Ferrer to breeze through, but he's no value at all based on this season's showings and at 35 and now down at 14 in the rankings his best days look well behind him now.